CHICAGO (WLS) -- This is kind of tough to hear right after the holidays, but on January 23 the IRS will start accepting electronic tax returns. Yes, it's that time. Again. 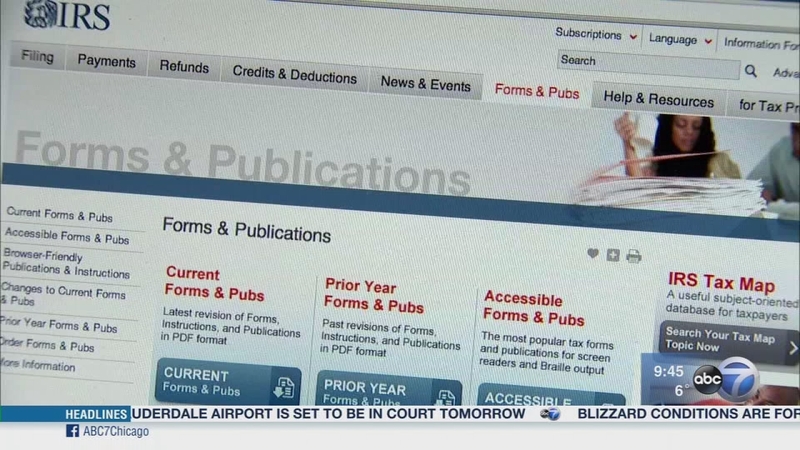 The IRS expects more than 153 million tax returns to be filed this year. The good news: Roughly 70-percent of taxpayers will be getting a refund, but for some that refund will be delayed. Talking about all that and more is Louis Sands. He's the tax director for Sikich LLP in Naperville. The firm specializes in accounting, technology, investment banking and advisory services. This is kind of tough to hear right after the holidays, but on January 23 the IRS will start accepting electronic tax returns.